Home | Fly Tying | Ahrex Hooks | Ahrex Texas Predator 1/0. 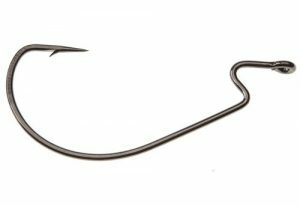 Originally, this hook was not made for fly-fishing but for Texas Rigs. However, it works really well for fly-fishing in waters with a lot of weed or if you want to fish close to the bottom without getting too many unintended hook ups.